Laurel Lane Primary School in Hillingdon becomes an IQM Centre of Excellence. Laurel Lane Primary School is a welcoming, happy and supportive school that prides itself on its inclusive practice and nurturing ethos. The school was awarded the Inclusion Quality Mark for the second time in July 2015 and wishes to be considered for Centre of Excellence status. The school is situated in West Drayton in the London Borough of Hillingdon+, in close proximity to Heathrow Airport. It admits children with a range of diverse needs, with many of its children and families being socially dependent on the Local Authority for support. A high percentage of the pupils are entitled to Pupil Premium, with a very high percentage of pupils having English as an additional language. The school also experiences high levels of pupil mobility. Laurel Lane is part of the LDBS Frays Multi-Academy Trust with three other schools in the local area. The trust is committed to enabling all its children to reach their potential. There are approximately 387 pupils on roll from nursery to year 6. In addition, the trust has established a provision for two-year olds called ‘The Pond’ on the Laurel Lane school site, which was opened in September 2016. This well-resourced provision has a key aim of raising aspirations for all pupils, especially those who are disadvantaged. 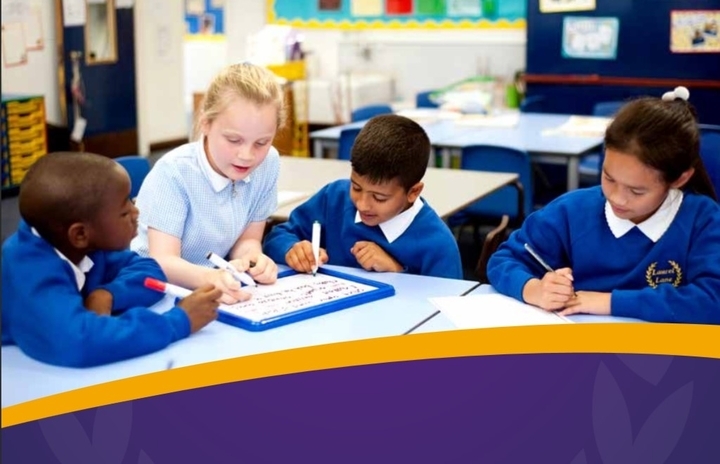 Pupils’ attainment on entry is well below national expectations and areas of communication, speech and language, literacy and personal social education continue to challenge the teachers throughout the school to support pupil progress and raise attainment. Since the last IQM assessment, Laurel Lane has been named ‘Mayor’s Fund for London School of the Year’ in 2016, in celebration of the school’s dedication to the development of disadvantaged pupils, with the provision being seen as being above and beyond for vulnerable pupils. In June 2017, the school was proud to be graded ‘good in all areas’ by Ofsted, moving the school out of ‘requires improvement’. Pupil results have had a 3 year upward trajectory in attainment and disadvantaged pupils generally make faster progress than other pupils nationally. Ofsted stated that “Equality of opportunity is at the heart of the school’s work” and praised the inclusion leader and her team for the effective support which they give to pupils. Staff do not give up on any child. The school goes out of its way to support both the children and their families. The school minibus makes 2 trips every morning to collect children experiencing attendance or punctuality difficulties and this has enabled the attendance officer to develop good relationships with the local traveller community. There is a highly subsidised breakfast club for children and parents. The Family Support Worker, now employed by the trust, has been with the school for a number of years and has developed very positive relationships with families, particularly those who are difficult to engage, providing in her words ‘a triangle of support’ of child, school and family. Providing the breakfast club, alongside the Learning Mentor and members of the staff team helps families to get to school on time and contributes to building these good relationships with parents. Currently over 100 children attend breakfast club. Systems of identification, support and review are highly effective within the school and the new computerised system of provision mapping has enabled tracking to become even more efficient. There are clear pathways of support for pupils and regular continuing professional development for staff. Since the last assessment the school’s new SendCo has reviewed all the interventions within the school for impact. She has introduced a wide range of new interventions covering a range of areas such as EAL; maths; literacy; speech and language; play therapy; anger management and social skills. Interventions are often bespoke and time limited, being reviewed on a 10-weekly basis for impact. LSAs are well trained to deliver their interventions, which are carried out in the afternoons.The school offers a broad and balanced creative curriculum, which is relevant to its pupils, together with a range of clubs, educational visits and trips. Pupils love their school. They report that the teachers are kind and everyone is nice to each other! They strive to demonstrate the school’s Learning Powers of Reciprocity, Resourcefulness, Resilience and Reflectiveness and these are celebrated weekly in assembly. The excellent and immediate support which is offered to EAL pupils when they are admitted to Laurel Lane was clearly evident when a child, new at the beginning of year 6 with no English, read beautifully and proudly to me. Classrooms are bright and enabling, with working walls and visual timetables. I observed a high level of pupil engagement in lessons through the learning walk, with adults deployed very effectively to support individual pupils. Marking and feedback is effective in helping pupils know how to improve their work. In addition, the school runs a number of classes and courses for parents.